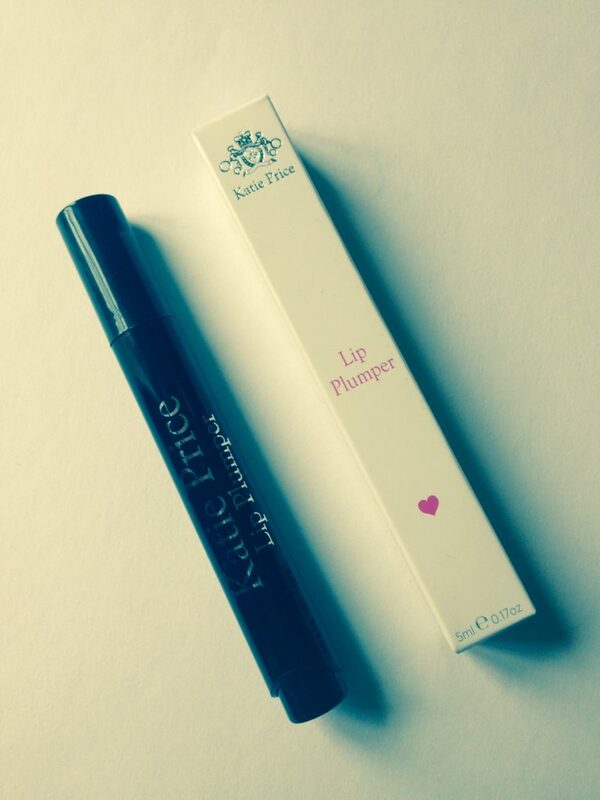 There was MUCHO excitement when I first showed the Katie Price Beauty products range on Instagram. 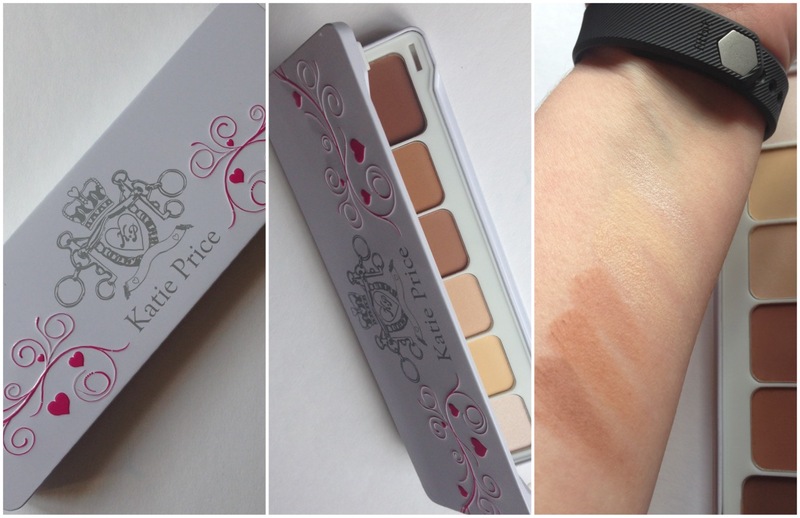 Whilst I’m sure some people will be cynical about this range, Pricey fans are really up for it. So now I’ve had a chance to try it out a bit more thoroughly, here’s the verdict. The first big surprise is that the packaging is quite understated and classy. It’s clearly making a bid to be recognised as a grown up range. No pink glitter ponies anywhere. Instead, there’s a plain white background, silver embossed Katie Price coat of arms and little swirls of pink and hearts. I love the silver coat of arms, it’s a kind of tongue in cheek By Royal Appointment stamp. The Queen would put something like that on her beauty range if she had one, and if Katie Price hadn’t got there first. 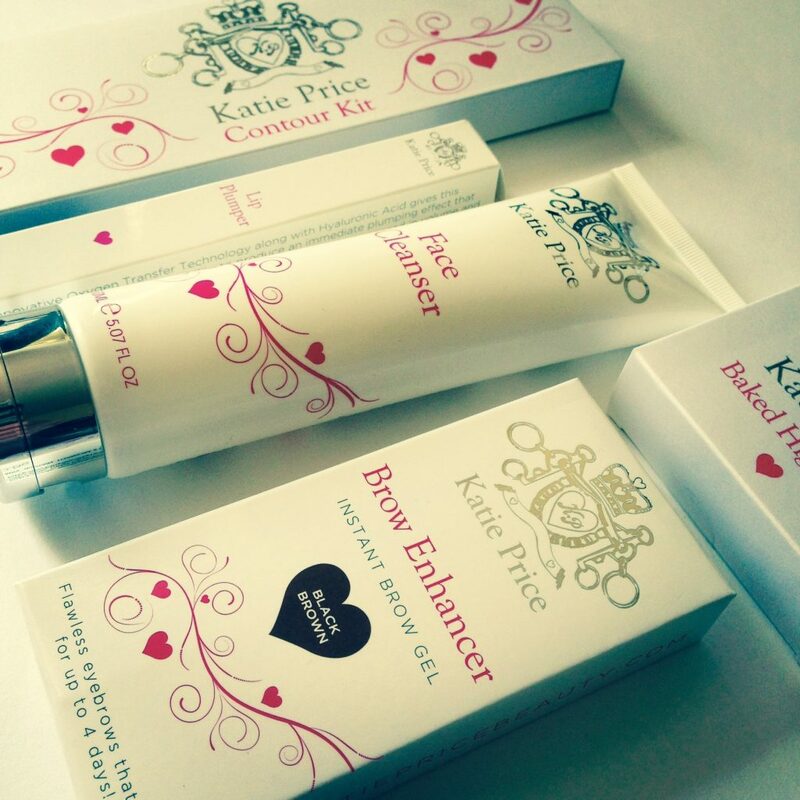 The Katie Price Beauty products range is produced by TAM Beauty, who also do Makeup Revolution and other brands. The range encompasses skincare and make up, including dedicated products for men. If you like MUR (and I do), then you’ll like this. It’s a similar idea in that it’s products at a high street price that aim to deliver a high end result. This is a pearly white foaming cleanser, though it doesn’t foam up hugely or feel like soap. I found this to be a little too drying on my skin, though my teenager was more of a fan. I suspect this range is going to be big with teens in general. If you have a teenager who won’t wash, buy her this. The added skincare ingredient here is Witch Hazel which is good for blemishes and irritation. I think this is the nicest gift item out of the products I tried. The attention to detail in both product and packaging is lovely. There’s a tiny white bow on the clasp, a scalloped edge around the base and a very sweet heart carved out of the middle of the highlighter itself. It comes in Warm and Light options – this is the Warm you’re seeing here. The aim of this is to help you look healthy and radiant without being in danger of glowing in the dark. It’s quite a subtle shimmer, giving a warm sheen. For highlighting novices who don’t want to look like they’ve dipped their face in glitter, this is the business. Another good gift item, and a kit to have fun with. You get a useful variety of colours here, with six shades running from light to dark which can be used separately or blended together. It comes in a tin which is rather like an old-school painting palette. The silver and pink theme is embossed on the top and there’s a wide mirror under the lid so you can always be Instagram ready. This was the most disappointing of the bunch for me. I tried it out several times but it just didn’t seem to do anything. The packaging is an unexciting black plastic pen with a brush tip. The instructions say that if you brush a generous layer over the lips, they will appear plumper and noticeably increased in volume within two minutes. This plumping effect is promised to last for up to four days, but it never seemed to get started for me. The ingredients include hyaluronic acid, which is a good moisture magnet, so I see where they’re going with that. It certainly felt nice and moisturising to wear, but ultimately there was no Pricey Pout for me. Maybe use this as an overnight lip treatment during the winter. Now this is a useful product. I like anything that you can use and then forget about for days on end, and this time saver does just that. 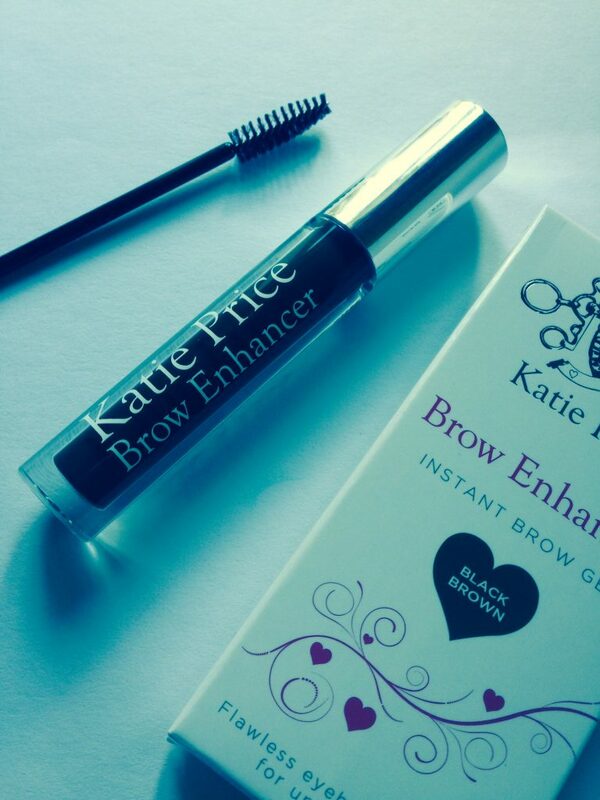 This brow enhancer is a paint on gel to quickly define, shape and fill your brows. Comb through with the spoolie brush included and you’re done. Good for anyone with sparse eyebrows they want to fill out. 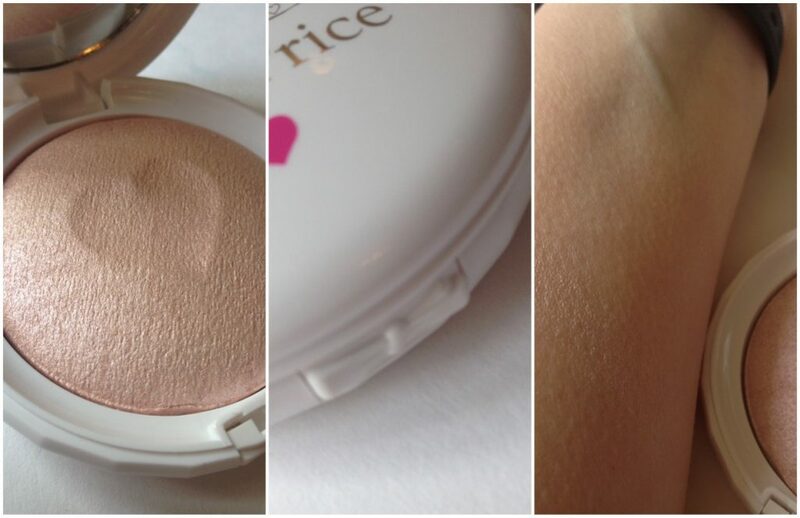 Once applied, it doesn’t smudge and lasts for up to four days. You’ll need to scrub it with an oil cleanser to remove. Comes in blonde, brown and black/brown – shown here is the black/brown version. In the interests of research I did try it out, even though it was far too dark for me and made me look like Groucho Marx (no Instagram, you’re not having that one). 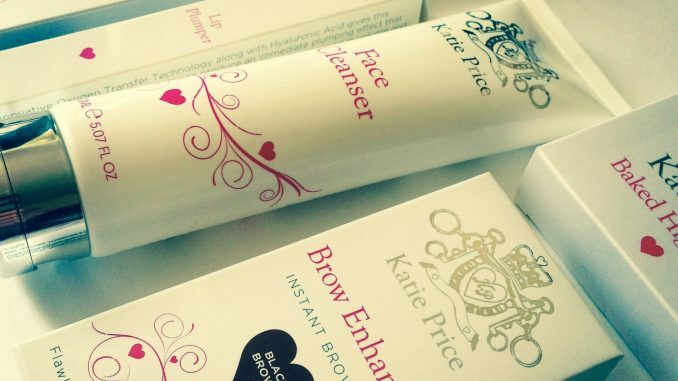 All products available from Katie Price Beauty. To celebrate the launch, all products currently have 10% off (sign up to newsletter to receive discount code).